App Builder Appy Pie: The whole point of doing business is looking for something to help you and the whole business grow every day. The decision to build your own mobile app might, in fact, have come from that objective. After you have built an app for your business and have benefitted greatly from it in terms of sales and the revenue you have been garnering from it, it is time to take another step further. Though you have been able to bring in great revenue from the app, and the app is proving to be a success, but you are also aware somewhere that your app has the ability to perform better, only if there were more people downloading it. The trouble is that, though your app might have been working fabulously and a delight to use, but it still is completing with millions of apps on the app stores and at least a hundred thousand more in the category that it is a part of. Whether you are a business that uses a mobile app as a revenue channel or a mobile app developer, you need to see your app stand out and be ranked high on the store that you launch the app on. There are quite a few factors that impact the ranking of your app. Appy Pie has brought together a comprehensive list of ways in which you can actively improve the ranking of your app in the app stores that matter. This list can, in fact, serve as an all inclusive guideline that would help you inch your way closer to the top ranks on the app stores in the right categories so that your app can perform to its utmost potential! Having said that, it is important to remember that you would have to give it due time, be patient, and develop an in-depth understanding of your target audience if you are aiming for the top rank for your app. This is more than just a pretty one liner or a punch line. The app title can be used intelligently to communicate to every visitor the core function of your app. The way you write your app title would have a strong bearing on the appearance of your app in any search results. This becomes especially important of the name of your app is not really a known word and needs a certain amount of description for people to understand what the app is really for. This means whether your app is Flickr, Tinder, or Mosaic, they have a much better chance when you have a title description that says Flickr – Photography, Tinder – Match, Chat & Meet New People, or Mosaic – Enhance Photos, simply because it helps the clients connect better. Today, these apps have a brand name, but for a start-up or a new guy around the block, it is absolutely imperative that the right keywords are used in order to describe the intent of the app, so that the app users are aware of exactly what they are downloading. One thing that might work in your favour is that you keep everything here, under 50 characters. The app description that you write for your app forms a big part of the App Store Optimization (ASO) process. The app description, when written right, can serve as a great opportunity and medium to make a positive impression on the app store’s search algorithm. While writing the app description, it is of course important to come up with a verbose and pleasant description, but it is important that you use the most relevant, crisp description that covers each of the keywords that your users are likely to correlate with your mobile app. However, just because we mentioned that it is important that you need to use keywords, it does not mean that you stuff in keywords just for the sake of it. It is important that the keywords you use seamlessly be woven into the native description of your app and becomes a part of it. One key thing to remember while developing your app description is that you do not repeat words because Google Play has a content policy that expressly disallows this. We, as app users tend to be more visual when we are on the edge, deciding whether we want to download an app or not. Making a great visual impression is one of the best ways to attract a greater number of people towards your app and convincing them to download it. Go through your app and choose the app screens that are visually the best ones while helping you understand how they look. Apart from choosing the app screens that look great, you can also create some custom screens that would showcase your features through a pleasant and appealing visual medium. 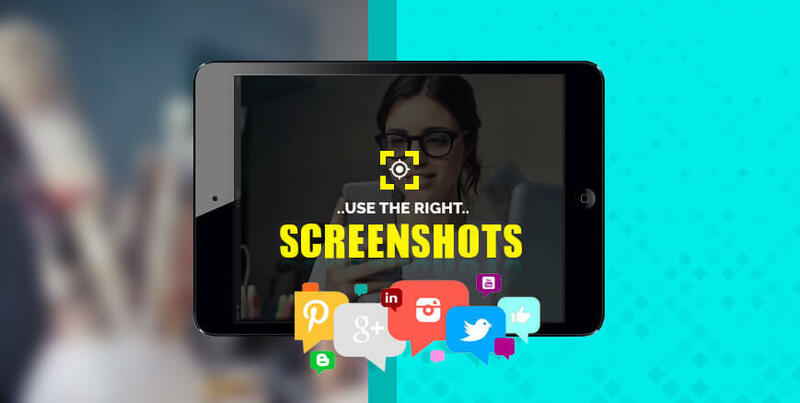 When the chosen screenshots are not just appealing but also explain the app in a better way, it definitely will awaken the interest of app users leading to more of them downloading the app on their devices. It is unfair how little time, energy, and attention is paid to the app icons! Like we discussed in the point above, the visual elements, all of them carry a lot of weight. The icon for your app is effectively the face of your app. It is this icon that the app user is going to see first, and once they have downloaded it, it is this icon that would be the identity of the app for them. The icon of your app needs to stand out, while still look great on their mobile screen. It should be representative of you, without having to rely on too much of text with it. Make sure that you keep the clutter away and have crisp text for it. One more thing that you can do, for good measure, is carry out a quick “look test”. This can be done by placing your app icon among a number of other app icons to understand how it looks alongside others. Not only is it important for the icon of your app to look great and be relevant, it must also pass this look test so that it not only belongs on the app user’s screen, but also stands out without getting lost in the crowd of the apps on the device. This is exclusive to the iOS app as Apple lets you and even recommends you to add a short video of about 15 to 30 seconds as a part of your app listing and make use of it to showcase the multiple functionalities within your app. You can even test the video with some appealing poster frames or attractive thumbnail images to figure out which ones are driving more and more users to click and watch the video. A research from App Annie established that there was a 25-30% increase in conversions when a video was added to the main page. If you incorporate a good video, you would be driving the install costs down and be able to gain a lot many more loyal customers while driving up the discoverability of your app. On Google Play too you can add a video to the app listing. However, it might work better when the app is a paid app, because creating a video does entail a certain expense that you would like to recover through your app. A picture is worth a thousand words, they say, how many words do you think a video is worth? Are you a social butterfly? Of course, when we talk about the social network here, we mean the digital social network. This is where your digital and real-world network can help you in a great way. Make use of your Facebook, Twitter, and real-life friends, acquaintances, and the whole network. Mobilize everyone you know into reviewing and rating your app. The reviews and the ratings from users goes a long way in enhancing the overall ranking of your mobile app on the app store. Get everyone to write a review, but don’t be too pushy about only writing happy and positive app reviews, because this is the real deal, the best place where you can get some genuine feedback to help you improve your app and enhance the overall app experience for the users. Another important thing here is to acknowledge and replay to each and every negative review you might receive on the app store. It might be practically impossible to respond to each one of them, but when you reply to the negative reviews, you show that you care and forge a better user relationship. In addition to this, the people visiting your app would also get the impression that you are proactive and pay attention to the challenges encountered by the app users and helping them out wherever there is a need while taking in their suggestions. The power of incoming links must be acknowledged and leveraged suitably. Google Play Store is known to attach a whole lot of importance to apps that have a good number of incoming links to Play Store App description page. These links convey to Google that your mobile app has great popularity among app users, which results in the app being bumped up to higher ranks as time goes by. This, however is not one of the instantly gratifying measures and might require you to keep some patience. This point is relevant only for the Android apps. iOS apps may only be available on the Apple App Store, but for the Android apps Google Play Store is not the only platform where they can be showcased. There are more than 50 different stores, the world over which can become a ripe marketplace for you. Would you like to miss out on stores like Amazon App Store? Once you have your Android app ready to be released, go ahead and make sure that your app is submitted on all or as many of the app stores as is possible for you. With every app store that you launch your app on, you get a chance to expose your app to a whole new audience. Getting your app indexed with Google is crucial. Google App Indexing is the system which lets any app listing appear in a search results page. It is here that the user actually clicks on the listing before reaching inside the app. This actually works for both, the Android and iOS mobile apps. When a user searches for a particular app that they haven’t yet installed, they are then taken to a mobile webpage dedicated to the mobile app. If, however, your app is not indexed, you stand to miss out on the searches that can show your app as a listing. Though the direct impact of indexing might not be immediately visible on the overall ranking of your app, but it is proven to bring in a barrage of organic incoming traffic that eventually does help in getting your mobile app ranked higher. Keeping the app size low is in your interest and in the interest of the prospective app users. If you are able to keep the app size below 5 MB, you are going to have a much higher conversion from Play Store View to Download. Once this happens, the message that goes to Google is that the app you built is a great one, and people want to download it. There are a number of tools including, but definitely not limited to Proguard, Lint, 9patch images, PNG optimizers etc. that can all be used to optimize the mobile app you built. One little hack that is not exactly verified officially, but does seem to work is, integrating the Google+ sign in your app in order to install OTA install. It has been established that the Play Store gives a little higher importance to those apps that make use of this feature. The word “App” also includes in it web-based applications offered as a service, in spite of the popular association of the word with mobile applications that need to be downloaded and installed. Google being Google gets it! Resultantly, Google has an App Pack right at the top of the mobile search results. You would be able to see this if you open the browser on your mobile device and search for a string of words like “navigation”. Typically, the app pack includes anywhere between one and six apps, if there are more than six apps matching the search query, they can be found by scrolling down further. There is quite an amount of information about each of the apps displayed in the pack. The information displayed here includes app image & title, app rating, and price. If a user clicks on the app square, they would be taken to the store from where the app can be downloaded and installed. One cool thing here is that the apps displayed in the app pack are specific to the platform. This means that an Android user will only see those apps that are available on Google Play and not the ones that are only available on iOS, even if the app matches the search string. The app title that you choose to write for your app must be worded quite carefully. If you used generic terms or any other bland words like “Editor” “Music” “Photo” etc. there is a good chance that the users may get confused by the title of your app. This confusion can only create a disinterest among the users and lead them to ignoring or skipping over the app, without even opening it. Using generic words would also make the users think lesser of you, as it exhibits lack of creativity and sometimes lowers your credibility as well. One more thing that must be kept in mind while wording your app title is that you must not use names that are in any way similar to the apps that already exist in the market. When you use any of the names that already have an established name in the market, the impression that people have of you is less than credible and it might appear that you are trying to piggyback on their popularity. This, in fact is a known black hat tactic that is often adopted by less than credible and are known to release fake apps. This can even lead to your app being banned from the reputed app stores. In iOS apps, there is a separate field to put in keywords. Though there is no limit on the total number of permissible keywords in this section, but there is a limit imposed on the number of characters, which is 100. This limit of 100 characters also includes punctuation like commas, full stops, and even spaces or any other separators. This means you do not have to use two different separators like a comma and a space, you can simply use space or just a comma and that would do the job. This means that it is OK to either use – keyword1,keyword2,keyword3 or keyword1 keyword2 keyword 3. If, however, you go ahead and choose to use the format – keyword1, keyword2, keyword3 then you would be wasting 1 character for every keyword. Another thing worth noting here is that the system at App Store is an intelligent one and takes on the plural words from the list of keywords and the title. Hence, you do not have to include the words in the title in the keyword field. Keywords automatically taken by the system: share, WhatsApp, save, photo, photos, friend, friends, gallery, galleries. One of the most important things to remember is that once you save any keywords in the appropriate field, these cannot be altered ever again. Hence, if you end up saving a wrong keyword or add unnecessary separators, you lose precious characters that will be blocked forever. Use of keywords is important and does go a long way in the discoverability of your app and in determining whether your app would feature in searches. Stuffing your app title or app description with a whole lot of keywords is not enough though, nor is it wise to do so. Imagine if you were the one looking for an app that would be useful for social networking and install an app that uses just the right keywords, letting you believe that the app is suitable for you. However, when you finally install the app and start exploring it, you realize that it is only remotely connected to your requirements with its actual focus on something entirely different from your needs. What would you do? Frustrated, you might end up simply deleting the app from your device. Conversely, if the title or the description of the app, skips out on using the required keywords which can help it coming up in the Google searches, then the users would never be able to find the app that they are actually looking for. Hence, it is of course important that you use keywords in the app title and description, but it is even more important that you use them in a wise manner. The app description that you write for the app must be written with the intent to clearly convey to people what the app can accomplish. The app description does help you with your App Store Optimization efforts and of course you need to include a whole lot of relevant keywords when you are developing the app description, but the bottom line is that it should be user-friendly in its construct so that the users can easily absorb its significance. Listed below are some tips that would definitely make your app descriptions better and easily consumable. Use this field to add all the relevant information including the version number of the app, the changes that you made in the latest update, big fixes, new features, etc. The app description that you write for your app is basically for the app users or the visitors who are still on the fence about downloading or installing your app. While going through all the information on the app and the details about it that you have listed on the app store, the visitors can only see the first few lines of the app description and to see the entire description they have to click on “More…” link which then expands the view. This means that only if the first few lines manage to impress the users would they bother with reading the whole description. This means the effort that you have put in drafting out the best of the app description might go to waste if the first few lines do not manage to attract the app users or prospective app users. This is why it is important that you pay a little extra attention to the first few lines of the app description and make them more engaging. The title of your app is important in more ways than one. When you make the title more robust by adding some descriptive keywords in the titles, you stand to increase the discoverability of your app. A recent analysis established that when the app titles were fortified with suitable keywords, the discoverability of the apps increased by 10.3%. This is a huge jump and cannot be ignored, because like every other business or technology every single percentage counts. If you were to build your app in just the one language, you are also limiting your audience by a great degree. The total percentage of English speakers including the non-native speakers constitute 20% of the total population of the world. Now if you only release an app in English, you are going to cater to this small percentage. Statistics state that only about 31% of the app revenue comes from North America, whereas about 41% of the app revenue comes from Asia, where English not the first language in most countries. It is important to internationalize your app by localizing it. To begin with, you can first internationalize your app’s codebase and then begin by changing the app title, keywords, and the initial few lines of the description. This is sure to bring about a rise in the conversion, following this, you can then go on to change the other sections including the screenshots, videos, currency formats, the dates, descriptions, and even the reviews. We have talked about the impact that you can create with visual content and different visual elements. In doing so we have talked about using the appropriate screenshots. However, one important thing to consider here is that the first two screenshots you use should present and showcase only the best features of the app. By default, the app users can only see the first two screenshots and there are only about 40% of the people would swipe past the first two screenshots that they can see. Hence, it is these two screenshots that you need to leverage and showcase what’s best about it. Your job doesn’t end with simply launching the app on the desired app store. The apps need to be updated frequently, not just to add new features to the app and make it better while enhancing the User Experience, but also in order to tweak it and make it compliant with the store policies or regulations. By nature, everything associated with the world of mobile apps is dynamic and ever evolving. The store or the platform that you are using in order to make your app available for the users to download and install on their devices, has a set of rules and regulations that need to be complied with. If, however, you fail to keep an eye on any changes that they might have made, your app stands to lose relevance, and might even become unusable. These changes can impact the looks, the description requirements, mandates about the architecture of the app, or even be something that is deeply embedded in your code. Hence, it is important that you keep updating your app frequently so that your app stays relevant and compliant to the latest Store Policies. Everyone looks for peer reviews and in this digital age, everyone looks for approval or opinions from experts. The easiest way to get reviews and suggestions is through experts or blogs that often post content about the products of services they have used. To make sure that people, specifically your target users get the right kind of recommendation, it is important that you invite all the prominent bloggers and the relevant journalists to use your app and write a review about it on their own portals while linking it to the App Store from there. You can not only approach individual bloggers, but even some of the prominent review websites that people trust and look into while making a decision about finding an app that they may be looking for. It is impossible to have all your answers simply with research and speculation. When you are developing a mobile app or have already launched one and are waiting for it to reach new heights of success, then it is important that you go for a more concrete approach to suit the gravity of the matter. There are numerous components of the app listing that contribute to the whole process of app store optimization including but not limited to the icon that you design for your app, the screenshots that you choose to make a part of your listing, the descriptions that you have drafted for it, the keywords that were chosen, and the videos that you made for the listing. Each of these elements must be A/B tested to understand what works, and what is the best way to derive the maximum benefit from each of these elements. In a conversion study conducted by App Annie, it comes to light that whenever the video and the app screenshots are changed there is a lift in the conversion by about 25 to 30%, and whenever the icon or the app description is changed an average rise of about 10 to 25% was observed. Once you design to start the A/B testing process, begin with testing the titles, description, images, and videos before moving on to any other section of the app store listing. The app previews or app preview videos are short videos that are created with the intent to showcase the features of the app and the kind of functionality it offers to their users while giving a glimpse of the user interface of your app or the game on your App Store product page. This can be done easily by making use of Mac and capturing screen recordings of your apps on your iOS device or on Apple TV. This tip actually comes directly from Apple as a recommendation, where they suggest adding a short video of 15 to 30 seconds to the app listing so that it grabs the attention of the users for just the right amount of time. However, only making a video is not enough, showcasing it in the right way is equally important as well. The best way to test the video is by creating an attractive poster frame or thumbnail image. When the poster frame is designed well, users would definitely be inclined to click on it. 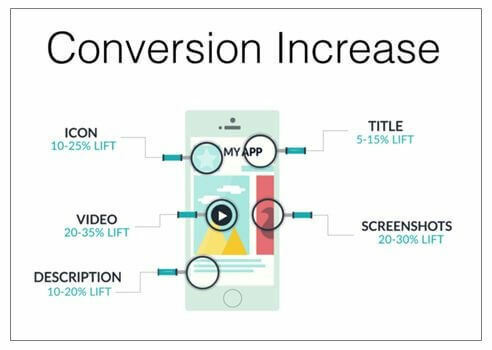 App Annie conveyed through a study of their own that whenever an app preview video is added to the main page, there is a 25 to 30% lift in the conversion. It has been established that a good video is responsible for reducing the install costs and giving you a greater number of loyal users and increase the discoverability of your app features. This is a highly competitive world, hence attaining and maintaining visibility for your app is getting increasingly tough. One of the most exciting ways to do this is to build up a certain hype about the app that you have built up. This is one of the toughest and trickiest tip to emulate, but once you do manage to do it t he right way, it can prove to be one of the most effective tips for you to make your app a great success. Through creating a buzz or hype around your product can be one of the ways of making use of Public Relations, but that is not all that PR is about. You can approach the authority figures in your field or some of the top influencers who can talk about your app and promote it to their robust fan base. It is important to have a strong network and leverage it wisely so that you can hype up your product bringing it to the forefront, making your app carve out its own space in the hearts and minds of your users. This is especially relevant for iOS apps because App Store has a very strict policy in this regard and has expressly stated it in their developer guidelines that the app developers must not use the names of celebrities, any other protected names, or any trademarks while listing out the keywords in your app listing, unless you have authority or permission to do so. This is one of the most important things to keep in mind, with regard to the keywords you choose for your iOS app, and it is simply wise to refrain from using any of these unless you hold proof that yours is an official app for them, or you have some kind of a relationship or association with it. Doing this is only going to lead to your app being rejected by the App Store. You don’t begin mountaineering by attempting to scale the Everest on your first go! There is a learning curve, a growth curve and there has to be a steady path that need to be traversed. It is only wise to start small, start systematically, and then once you have already established a certain grasp on these smaller targets, you can graduate to higher and tougher targets. This means you would have to do with being the big fish in the small pond, instead of becoming a small fish in a big pond. For this stage of the process, it might be a good idea to leverage a good keyword research tool in order to zero in on those keywords that have a much lower search volume and lower level of competition. It is a good idea to begin with these keywords and try and rank well on these keywords. This can help you build up a sound social proof and credibility so that you can then graduate to the tougher keywords, make a move and finally begin attacking the bigger players in the market. For all the efforts you have been making with app store optimization, this is one of the most basic tips we can put out for the developers who are building their apps. The search algorithm on the App Store takes into consideration the categories when the users searches for an app in particular. When you are on the way to release an app on the App Store, choose the categories carefully and pay attention to the core functionality of your app and leave out the secondary functions. This is essential in order to getting your app exposed to the right kind of audience who would actually be looking for an app just like yours! This can be better explained with the help of two of the most relevant examples viz. Instagram and Facebook. On the Apple App Store, Instagram is categorized under the Photo & Video category, whereas Facebook is categorized under Social Networking category. If you have been using the two apps, you must have used Facebook for Photo & Video sharing and Instagram for social networking, but still these are secondary functions while they are categorized under their primary functional category. It is the latest news that piques the maximum interest. No one would listen to you and your app if all it had to say were things that hold no significance today. It is the trending news that everyone is interested in, and it is only the latest news that keeps the people interested. While it is a great idea to piggyback on the reflected glory of the latest trending news, it is important not to get carried away. Hence whether it is a flavor of the season, an event in particular, or anything else that has found its way to the news, make sure that you include keywords that are not just in trend, but those that are relevant to what you are offering as your core features. For example, if you have a food delivery app, you could add some keywords about the holidays and bring your app to prominence. 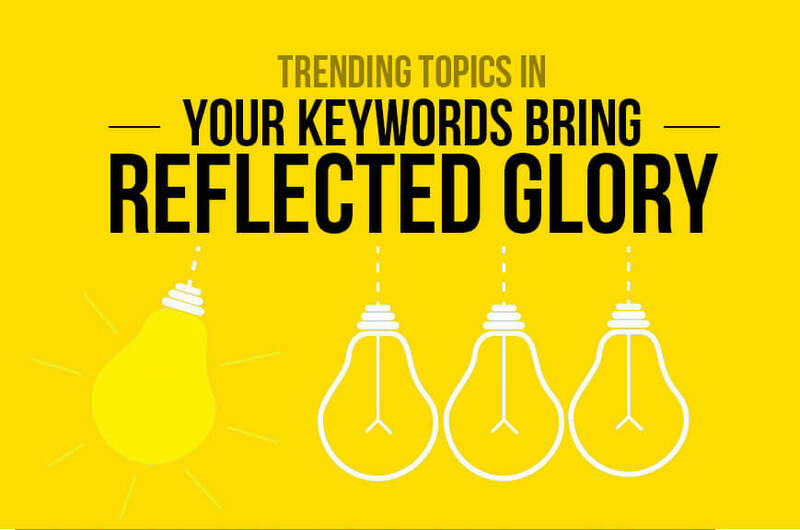 There are a great number of tools available in the market that can help you track the trending keywords. Search Ads is a highly efficient and convenient way to help people find your app on the App Store for iOS devices. As per the data collected from App Store search ads, the conversion rates on the search ads average at around 50% for the big players as well as the smaller fishes in the pond. This means that the cost incurred for every install of the app comes to be about 25 cents, which is a whopping 80% lower than the ads on other platforms. All you need to do here is sign up for the one of the Search Ads Platform and let them help you add discoverability to their app. Like most other businesses, any business with apps is also to be monitored closely and frequently. In an effort to keep your app on the top of the charts, it is important that you keep a close eye on the keyword ranking and follow the trends closely. Not only do you have to closely monitor how your app is getting ranked for the most relevant keywords, you need to watch out for any new keywords that might appear on the horizon. There are a number of competitive keyword research tools that you can use to keep a track of it all. These tools can be great for guiding you about which keywords to keep using, which ones to remove, and which keywords to introduce for your mobile app, but make sure that you stay within the character limit of 100. Work out and suggest some special discounts to members of online communities, podcast listeners, bloggers, etc. When these one-time activities are planned in an informed manner, you can boost the number of downloads in a small amount of time and enhance the overall app rankings. 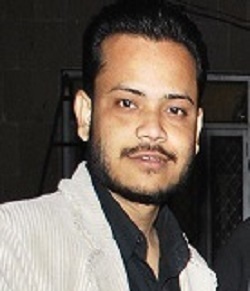 This means that in a short time the demand of the app gets established for everyone to witness. App Store Optimization can do wonders for you, and this is not a tall claim, but a proven and established one. When you are starting out with app store optimization and with keyword research, you can get a little help in finding out the kind of keywords that are being used by the competition. There are a number of tools like AppCodes, AppTweak, SensorTower, or Mobile Action and many such other ones in the market that can help you determine the different keywords that the other competing mobile apps are ranking for. Then there are tools like SEMRush that can be used to find out the keywords authority sites in which you must attempt to rank for. These tools that might be quite aptly referred to as app intelligence tools. These can help you gain insights on the market and the intent or behavior of the user. With this evolved understanding you gain the ability to prevent the competition from blindsiding you.